PHP7 is available on Funio’s servers! 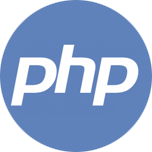 On December 3, PHP released its latest version: PHP 7. The version before, PHP 5.6 was already a year old. This new version of PHP is a major step for the programming language. It offers a good number of improvements and optimizations that are the results of a more than 2 years of work. Some people in the industry even called this new version a new generation of PHP, with great potential. PHP 7 is also up to twice faster than PHP 5.6, and it uses up to twice less memory. You can install PHP 7 for your hosting plan by going in your Funio Hub. Please make sure your set up is compatible with PHP7 before activating it.